Talking Asian cuisine with David Chang, appreciating corduroy, and other notable happenings around town this weekend. 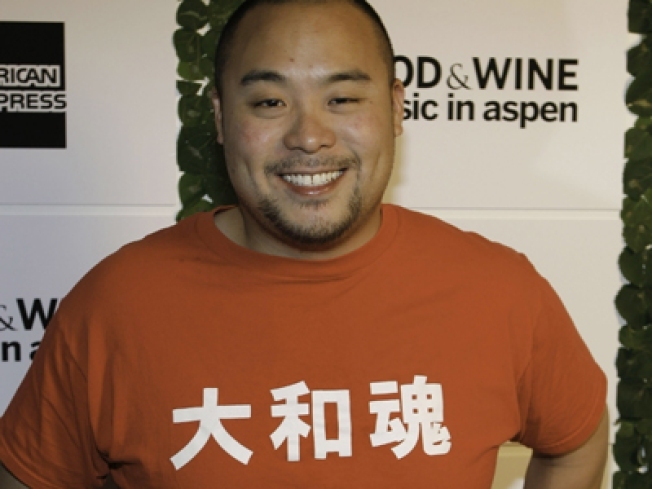 Momofuku restaurateur David Chang heads up a panel on Asian dining on Sunday. COMBO PLATE: Momofuku's David Chang heads up a host of notables discussing the history and future of Chinese food at 92nd Street Y's panel Asian Dining Rules. Just try not to get hungry listening to them. Sunday, 8:15PM. DRINKY: Soak up on Bud Light and win cash prizes at the NYC Social Sports Club Flip Cup Tournament at L.E.S. bar Boss Tweed's. Saturday, 2PM. WIDE WALE: 1/11 is a date that looks like corduroy - and therefore, the Corduroy Appreciation Club must congregate. But which wale will you wear? Decisions, decisions. Sunday, visit www.corduroyclub.com for details to be posted. COUNTDOWN: As part of the New York Times Arts & Leisure Weekend festival, Keith Olbermann gets grilled by Andrew Rosenthal. Saturday, 4PM…. ROCK: …while Patti Smith talks to Jon Pareles about punk rock and poetry. Sunday, 8PM.